Long Island striped bass fishing advocates traveled to Washington this week to advocate for changes the rules governing striped bass possession in federal waters between Montauk and Block Island. East End Congressman Lee Zeldin has re-introduced former Congressman Tim Bishop’s proposal to clarify federal laws in a portion of the federal Economic Exclusion Zone (EEZ), 155 square miles of what used to be prime striped bass fishing areas between Montauk, Block Island and Rhode Island, but Connecticut representatives and fisheries conservationists are skeptical of the the proposal. 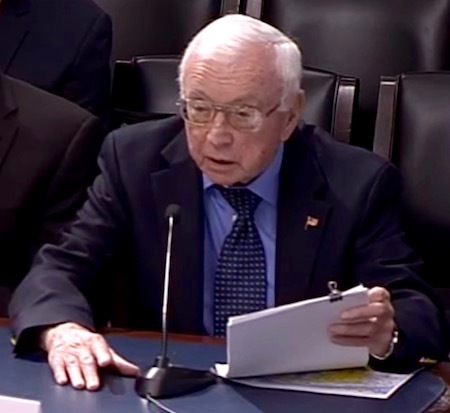 The House Natural Resources Committee’s Subcommittee on Water, Power, and Oceans held a hearing Tuesday, Feb. 2, on the bill, titled the EEZ Clarification Act (HR3070). Striped bass populations here are currently under stress. 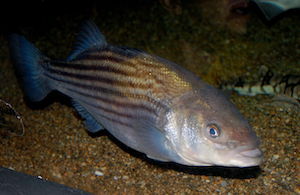 Striped bass fishing was banned in the EEZ in 1990 after serious declines in the striped bass fishery in the 1980s. While the fishery was declared rebuilt in 1995, when the federal government considered re-opening the area to fishing in 2006, they received 8,500 comments, 97 percent of which were in support of continuing the closure. A stock assessment of striped bass in the fishery last year has shown a decline in its population. The area of the EEZ in question is currently considered by the federal government to be a “transit zone,” but some fishermen have been unable to prove that their stripers were legally caught outside of the EEZ and have been boarded by the Coast Guard and fined for their catch. While Mr. Zeldin says his proposal simply transfers authority over those waters to the states, allowing fishermen who transit that portion of the EEZ to carry fish caught in open waters through the EEZ without committing a federal crime, many at the hearing said they believe there will be regulatory complications if management of that portion of the EEZ were turned over to the states of New York and Rhode Island, as the bill recommends. Mr. Zeldin introduced the bill in July of 2015 and invited members of the subcommittee to Riverhead in December to hear testimony from fishermen here. While Mr. Zeldin described the issue at the hearing as “the difference between a nice day on the water or a federal offense,” Congressman Jared Huffman of California, a ranking member of the subcommittee, was skeptical of that portrayal, and asked expert witnesses whether the idea of a “day on the water ruined for fishermen” was more hypothetical than a reality. National Marine Fisheries Service Deputy Regional Administrator Daniel Morris said there were 54 federal violations of striped bass restrictions in the EEZ in the past five years, but only one of them occurred in the transit zone. He did say that states bordering the EEZ may have issued there own violations that were not reported to his office. Captain Joe McBride at Tuesday’s hearing. Captain Joe McBride of the Montauk Boatmen & Captains Association told the panel that, while the EEZ restrictions have been in place since 1990, many fishermen were unaware of the restrictions until after the Coast Guard began enforcing them shortly after September 11, 2001. Mr. McBride said the area closed to fishing by the federal government contains about 60 percent of the historical striped bass fishing rips fished by Montauk fishermen. 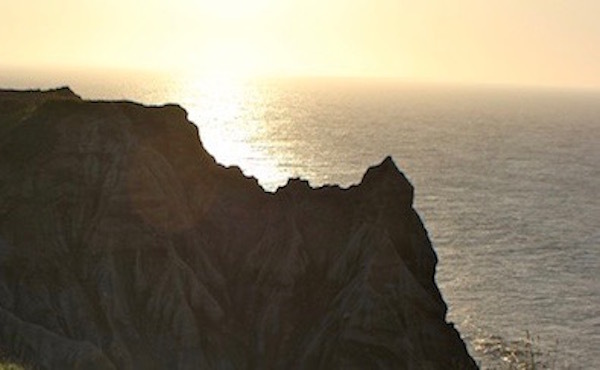 “We would like to fish for striped bass in that area,” he said. But charter boat captain John McMurray of Oceanside, who also sits on the Mid-Atlantic Fisheries Management Council, said he doesn’t believe changes to the EEZ would be good for the fishery. “I’m speaking solely as a fisherman and a small business owner,” he told the panel. 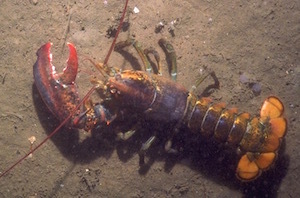 Connecticut lobstermen could also be affected by the bill. Congressman Joe Courtney of Connecticut said he is disappointed that Connecticut legislators were not included in the discussions over the bill. He explained that, if federal waters were placed in Rhode Island’s jurisdiction, Connecticut lobstermen would no longer be able to place their pots in the water there, because Rhode Island does not allow out-of-state licenses in their waters. Connecticut lobstermen are already being squeezed by seasonal bans on catching lobster in Long Island Sound. “They’re going to remain a top priority of mine because they are important,” he said. He added that the current law “unintentionally made criminals out of striped bass fishermen,” and said the “simple boundary change” outlined in the legislation should fix the issue. The hearing is online here. The full text of the bill is online here.